Darren Tindall is the director of PWM, a local orange business who provides advice, insurance and lending to their clients. Darren approached me about working on a re-brand for his business because he felt he has outgrown his name and current identity. I sat down with Darren and we discussed his future business plans and how a new brand would benefit his business. 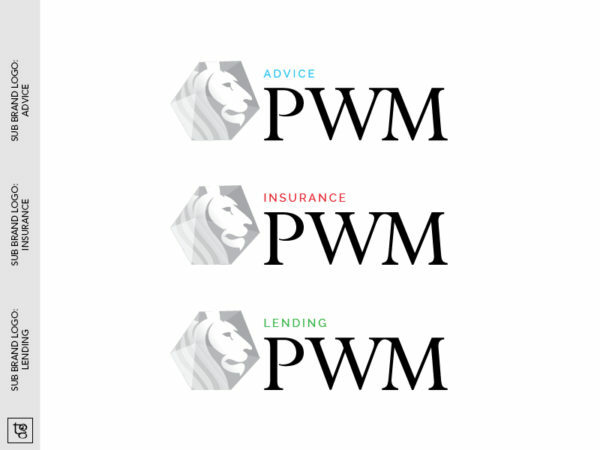 The PWM Advice brand was okay, but it really needed a refresh to reflect the growing business and functionality of PWM. We agreed to work on the re-brand together. 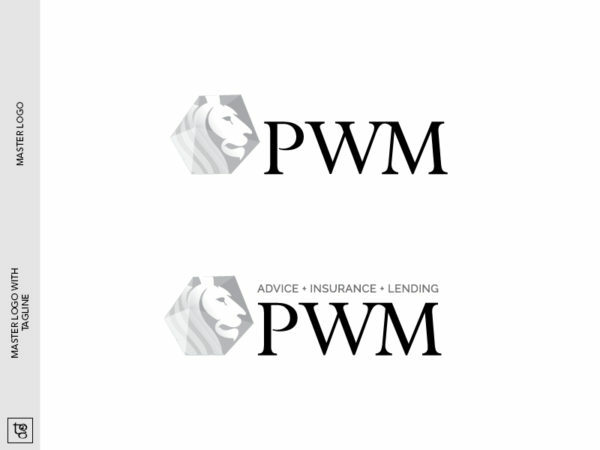 The old PWM advice logo which Darren felt no-longer represented his business. After our initial brainstorming session, I researched the possibilities for Darren’s new brand. In the initial brief, Darren mentioned he wanted the new brand identity for PWM to feel ‘Strong’ and timeless. He also wanted to keep the essence of feeling protected. [refering to the umbrella in the old logo, shown above.] The new logo would also have to allow for a ‘family’ of logos to represent the different sections of the business: Insurance, Advice and Lending. I researched possible elements and colours which would incorporate all of this into the PWM brand. We also decided to keep the PWM umbrella [as it symbols protection] but instead of keeping it in the original composition, I came up with the idea draw the umbrella opened but tipped on its side, which is what you can see in the finished logo. 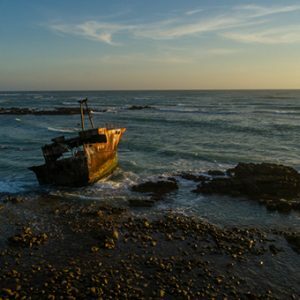 This image also doubles as a ‘shield’, which references protecting Darren’s clients – the key element to which his business is built around. We decided that a greyscale/black and white logo would work best for the Parent brand (shown below), and each section of the business would be represented by a different colour. From here, I developed my first set of rough sketches to send through to Darren for feedback – this was the beginning of my logo development process which took around 4 weeks. Darren and I continued worked together on his rebrand over the period of 8 weeks. 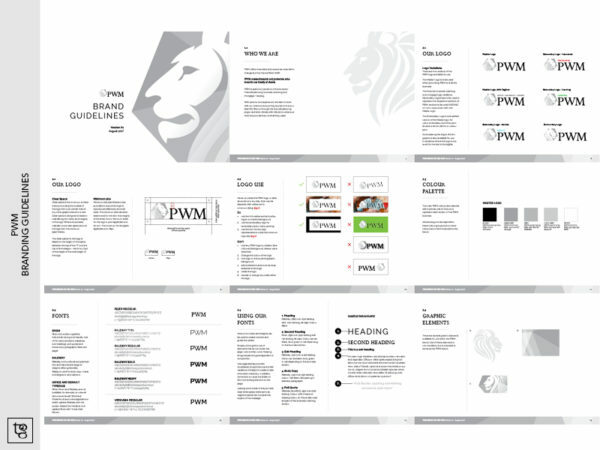 Once I finalized the PWM logo design, I went on to develop his brand style guide, business stationery, printed adverts and social media imagery. But my work did not stop there! I then worked closely with Signarama Orange and Jaffe Websites on behalf of Darren, to oversee the creation of signage and website. This allowed me to ensure that the brand was being replicated and executed according to the brand guidelines – this is the key to a solid brand identity. 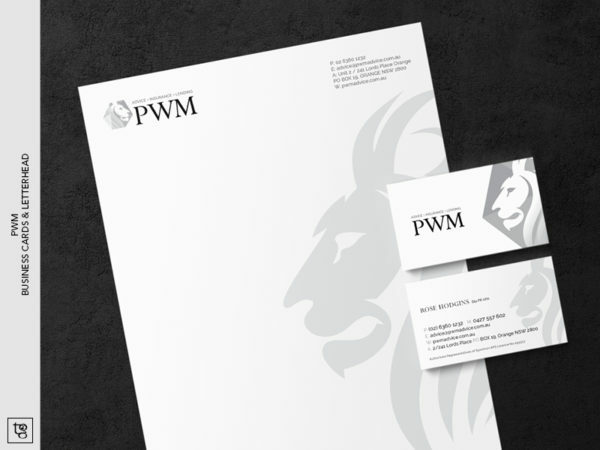 “A Lion never loses sleep over the opinions of Sheep’ is one of my favorite quotes, now we feel as though we truly are the Lion with our new branding, leading the pack in our community and field.” – Darren Tindall, Director, PWM. Are you considering a re-brand? Lets chat! I would love to see if I can help bring life to your identity!